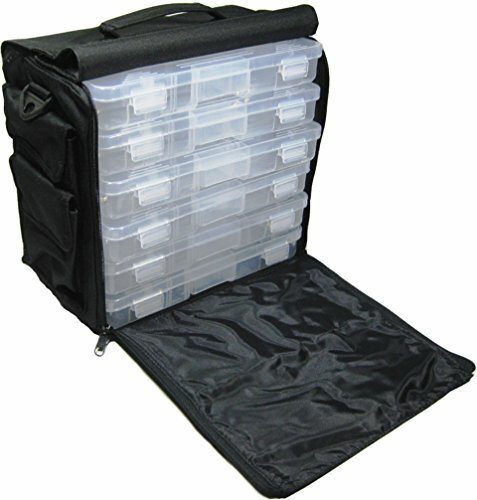 26 compartment travel case features durable plastic click close compartments and handy strap for easy carrying. Bag measures approximately: 13" x 7-1/2" x 11-1/2". Boxes measure: 10-3/4" x 7" x 1-3/4". Each storage compartment has 15 removable dividers. If you have any questions about this product by Beadcraft, contact us by completing and submitting the form below. If you are looking for a specif part number, please include it with your message.